Each 12oz spray can of touch-up paint for Herman Miller Aeron and Mirra chairs is specially formulated to remove scratches and scuffs that come from normal wear and tear. Apply a small spray of paint to the damaged area, wait five minutes for it to dry, and the paint amazingly blends in to the factory finish to make the chair look brand new. We use this exact product in our repair facility to touch up thousands of Aerons each year that customers bring in for detailing. As a result, we have fine-tuned the formula to perfectly match the graphite finish of the Aeron. 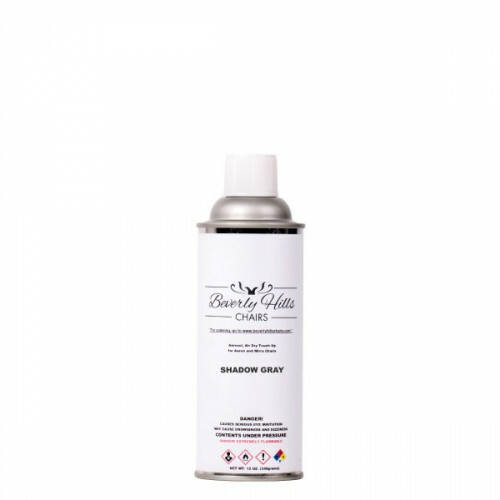 The spray is designed to remove scratches and damages from both the seat and back's metal base and composite frame. For our clients who are Herman Miller dealers and repairmen, we also offer touch-up paint by the case. The touch up paint will get rid of scuffs and scratches allowing you to refurbish your Herman Miller..
Each 12oz spray can of touch-up paint for Herman Miller Aeron and Mirra chairs is specially formulat..